If you need some further guidance on how to choose the right language professional for your project, you might find these guidelines from the Mediterranean Editors and Translators association helpful. And please don’t hesitate to contact me with any queries. I’m happy to help. Connect and communicate with your Spanish-speaking customers, partners, audiences or stakeholders. Enjoy the benefits of translations that work. Editing and revision of English texts tailored to your needs. Let’s get your message heard. For film, TV, and hard-of-hearing. I'm ready to contribute to the magic of your audiovisual creations. Some translations require an extra dose of creativity to connect with local cultures. Let me adapt your materials to attract English-speaking audiences. I have lived and worked in Spain for a total of 13 years, in Valencia, Andalusia and Galicia. I feel fortunate that the pleasure I get from reading, writing and culture has taken me into a career I love. Expressing people’s voices and helping them get heard is my vocation. This dedication means that a fair portion of my spare time is spent studying my craft. In 2015, I was awarded the Institute of Linguist’s Diploma in Translation, the UK’s “gold standard” for professional translators, and in 2017 I gained a Master’s in Audiovisual Translation. I attend conferences in my profession and fields as often as possible to hone my skills and catch up with colleagues. As much as my business is my pleasure, I do have a life away from my computer screens. I am also a (mediocre) pianist, (slow) swimmer and (armchair) debater. Oh, and (flustered) mother of two. Read about my career or contact me. 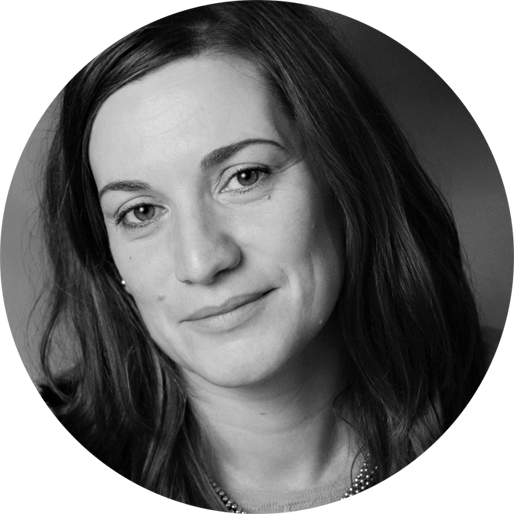 Kate’s work is highly professional and we are impressed by her ability to produce clear and accurate translations on a wide range of specialist subjects (social protection, trade unions, gender, etc.) as well as thorough edits, often under challenging time constraints. We have been impressed by Kate’s productivity, commitment to quality and customer orientation, and have no hesitation in recommending her services. A translator must be able to detect potential cultural differences that affect the interpretation of the text […] Kate shows a sensitivity to the arts that makes us feel comfortable when communicating with her and allows us to have confidence in her translation methods. We liked the fact that she consulted us on certain points that she wanted to clarify during the project, showing an interest in offering the best possible work. Professionalism, speed, good results and very friendly and pleasant customer relations. A note of appreciation for the outstanding translation service provided by Kate Major. It is clear that Kate is not just a mere translator, but a multiskilled professional who does the necessary research to deliver accurate meaning and tone in her translations. She is a seasoned professional. She always respects schedules and deadlines. We’d recommend Kate to anyone who needs a translation from Spanish to English.